Arquette Shows the World How...Not Hungry He Is? David Arquette, the star of the "Scream'' movie franchise hopes to raise $250,000 for Feeding America on Tuesday and Wednesday. 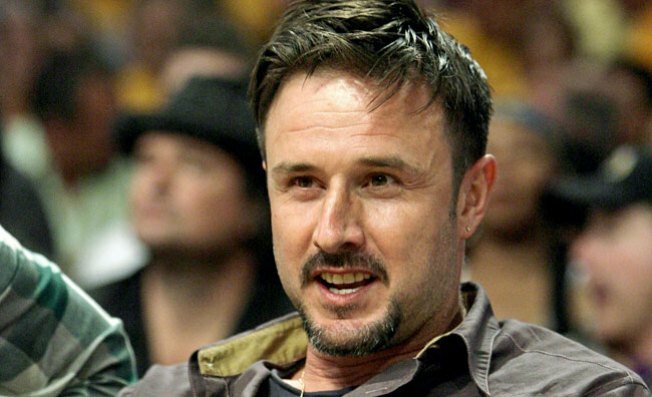 ‘Scream’ movie star David Arquette has put himself to the ultimate test. He has decided to spend 8 hours a day, for two days, in a Plexiglass box above the Madison Square Garden marquee to raise money for Feeding America, the largest domestic hunger relief charity. Confused? You’re not alone. Spending time in a Plexiglas box to promote world hunger makes as much sense as deep-dish pizza in New York. Snickers bar maker Mars Inc. is sponsoring the campaign, known as “Bar Hunger”. Arquette hopes to raise $250,000 by trapping himself in a box on Tuesday and Wednesday. The actor will be displayed for 16 hours in total, and hopes to spark some donations via text message and Facebook. In case you were wondering, Arquette will be eating during his stay. Unfortunately, he may not impress us New Yorkers; David Blaine once spent 44 days in a Plexiglas case.